Every once in a while I’ll come by some product that I must email out to the entire studio and beg them to get it for the office. I think I may have just stumbled upon such a product. 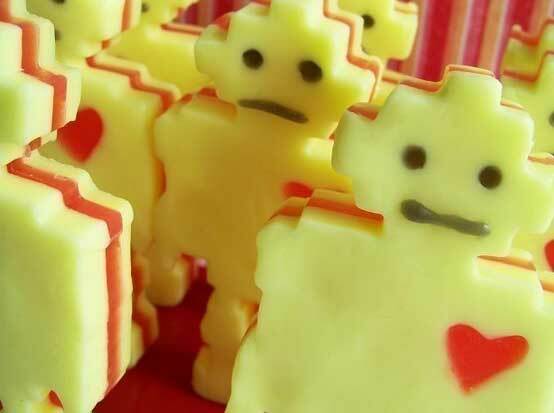 Behold, Lime Robot Love Soap by LoveLeeSoaps. The soap is made from glyerin and shea butter and has the scent of lime and weighs in at 4 ounces. At only $4, this is a total geek bargain. Also, if you’re feeling especially geeky, check out the hot dog soap or one of my favs Gnome Soap. Or if you’re feeling super duper geeky, just make your own soap.